Teacher want to produce students who, even if they do not complete control of the grammar or an extensive lexicon, can fend for themseleves in communication situations. In this case reading, this means producing students who can use reading strategies to maximize their comprehension of text, identify relevant information, and tolerate less than word-by-word comprehension. To accomplish this goal, instructor focus on the process of reading rather than on it is product. a) They develop students’ awareness of reading strategies by asking students to think and talk about how they read in native language. b) They allow students to practice the full repertoire of reading strategies by using authentic reading tasks. They encourage students to read to learn an have authentic purpose of reading by giving students some choice of reading material. d) They have students practice readung strategy in class and ask them to practise outside of class in their reading assigments; they encourage students to be conscious of what are they are doing while they complete reading assigments. 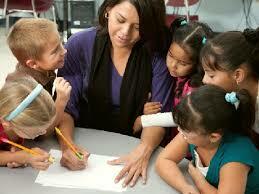 e) They encourage students evaluation their comprehension and self-report their use strategies. They build comprehension checks into in class reading assigments, and periodically review how and when to use particular strategies. f) They encourage development of reading skill and the use of reading strtegies by using the target language to convoy instructions and courserelated information in written form : office hours, homework, assigments, and test content. g) They do not assume that the students will transfer strategy use from one task to another. The explicitly mention how a particular strategy can be used in a different type of reading task of with another skill. 2 Tanggapan untuk "Goals and Techniques for Teaching Reading"